Under the chuppah at Muttontown Country Club. 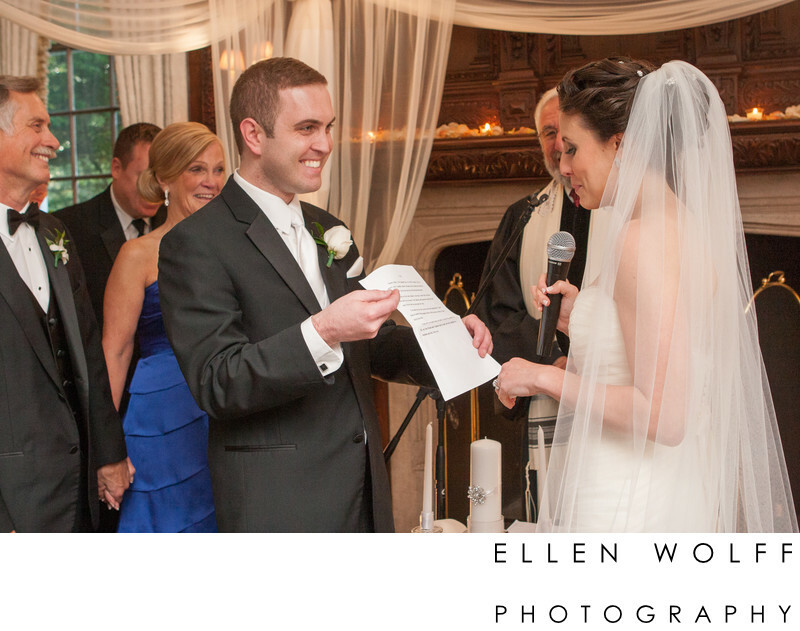 I love how the groom is holding the paper for her so she can read her vows, hold the mic and wipe her tears all at the same time. Keywords: reading the vows (3), wedding ceremony (27).